The law firm of Cowan, DeBaets, Abrahams & Sheppard LLP recently announced the addition of two partners, Mary E. Rasenberger and Eleanor M. Lackman, both of whom are well known in the copyright and trademark fields. 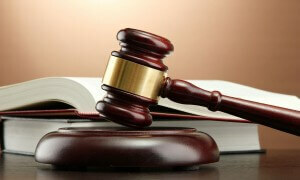 Both attorneys will join the firm’s digital media and intellectual property practice. Rasenberger joins the firm from Skadden, Arps, Slate, Meagher & Flom, where her practice focused on copyright and digital media. For over twenty years, she has worked in the area of intellectual property, with a focus on copyright law and technology. Her experience includes the counsel of clients in a broad range of fields, including internet, publishing, entertainment, technology, media and technology; her areas of specialty include policy, litigation, infringement analysis, and licensing. Significant cases in which Rasenberger has been involved include Viacom v. YouTube in the Southern District of New York and Second Circuit, UMG v. Veoh in the Ninth Circuit, and Reed Elsevier v. Muchnick in the Supreme Court, for which she drafted amicus briefs on behalf of rights holders. She also represented Houghton, Mifflin, Harcourt in a series of lawsuits brought by photographers, and represented several software companies in major copyright infringement and trade secret litigations. She also represented clients in the Google Books Settlement and in DMCA rulemaking proceedings. She has also advised a variety of Internet and entertainment companies on copyright law in the online environment, and handled major transactions involving the acquisition and licensing of copyrights and related properties. Before returning to Skadden in 2008, Ms. Rasenberger served as a Policy Planning Advisor for the Register of Copyrights; as well, she managed the National Digital Infrastructure & Information Preservation Program (NDIIPP) at the Library of Congress. In addition, she worked in the IP and technology groups of both a major record company and New York law firms. 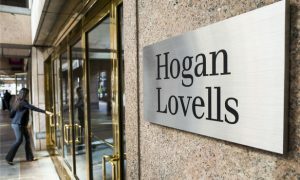 Lackman joins from Hogan Lovells. She has broad experience in copyright, trademark and commercial litigation and counseling, especially in the areas of IP and new media. She has provided representation to clients in a wide range of industries, including those in media, entertainment, luxury goods, consumer products, and telecom, in scores of federal and state court lawsuits at trial and appellate levels, as well as in arbitrations, domain name dispute proceedings and contentious matters before the Trademark Trial and Appeal Board. Significant cases in which she has been involved include Capitol Records v. Naxos of America in the Court of Appeals of New York, Cartoon Network v. CSC Holdings and Tiffany v. eBay in the Southern District of New York and Second Circuit, U.S. v. ASCAP (In re Yahoo! and RealNetworks) in the Second Circuit and Supreme Court, and Capitol Records v. Thomas in the District of Minnesota. In these cases, which involved complex IP issues, she represented litigants or amicus parties. She has also counseled a wide variety of clients in matters regarding copyright, trademark and technology licensing, and exploitation and enforcement. 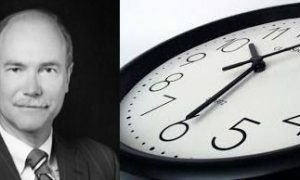 Located in New York, New York, Boutique law firm Cowan, DeBaets, Abrahams & Sheppard (CDAS) has provided legal counsel to leading media and entertainment clients for over twenty-five years, offering them expert services regarding copyright, trademark and media disputes.